Love it, like me, or hate it, basically like Robert, the Warhammer series in its video game format caters to a lot of different genres and players alike. Once again getting into the Hack & Slash of it all, Bigben and Eko Software's Chaosbane has Robert and I both intrigued and we hope to bring you our thoughts on it in the near future. Here's the trailer, and below that, the press release! 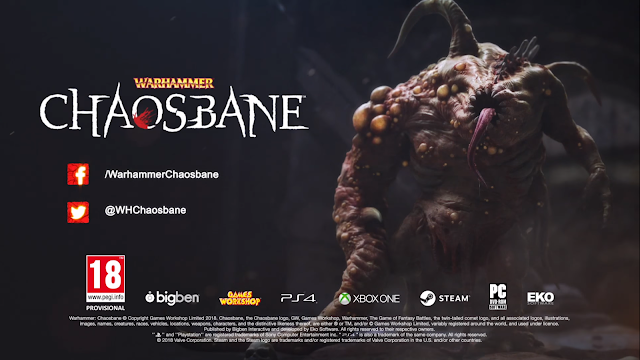 WARHAMMER CHAOSBANE PRE-ORDER TRAILER Lesquin, France, February 7, 2019 – Bigben and Eko Software are announcing that preorders of Warhammer: Chaosbane are now available on Xbox Store and tomorrow on PS Store and at certain retailers who can be found on the list accessible at the following address: https://warhammer-chaosbane.com/. The game's release date is set for June 4th. 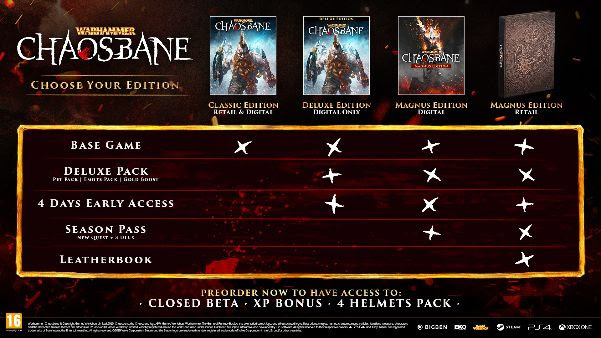 Warhammer: Chaosbane will offer two beta phases starting in March. These will be accessible only to the players who have preordered the game. Aside from this exclusive access, they'll receive an experience bonus active for the entirety of the character's progression as well as a pack of 4 legendary crates. In Warhammer: Chaosbane, each class offers the player distinct abilities and gameplay. As you cooperate, online or locally, with up to 4 players, cooperation and strategy will be essential to doing away with the hordes of Chaos. Unleash Bloodlust, a unique mechanic inWarhammer: Chaosbane, which lets loose a devastating power that can change the outcome of a battle. 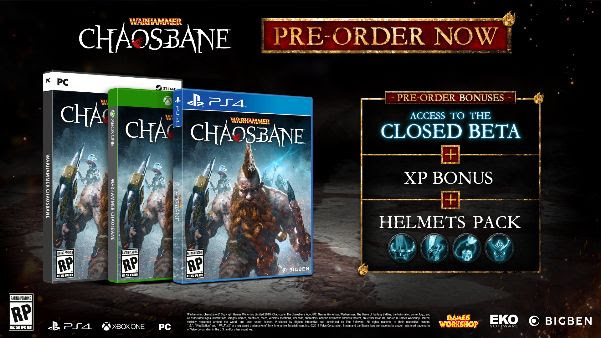 The first hack and slash to take place in the Warhammer Fantasy Battles world, Warhammer: Chaosbane plunges the player into the heart of the Old World, a continent marked by the Great War Against Chaos, a bloody conflict which ravaged the Empire of men. They will embody a human, a high elf, a wood elf, or a dwarf, and discover the iconic locations of the Warhammer Fantasy Battles universe that's captured the imaginations of millions of fans across the world. Games Workshop® Group PLC (LSE:GAW.L), based in Nottingham, UK, produces the best fantasy miniatures in the world. Games Workshop designs, manufactures, retails, and distributes its range of Warhammer®: Age of Sigmar® and Warhammer® 40,000® games, miniature soldiers, novels and model kits through 507 of its own stores (branded Games Workshop® or Warhammer®), thewww.games-workshop.com web store and independent retail channels in more than 50 countries worldwide. More information about Games Workshop and its other, related, brands and product ranges (including our publishing division ‘Black Library' and our special resin miniatures studio ‘Forge World') can be found at www.games-workshop.com. 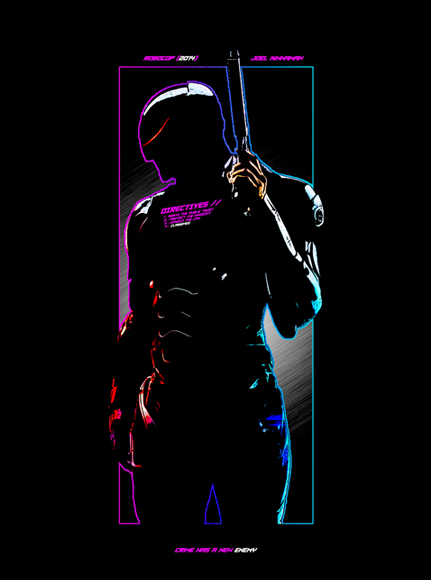 Established in 1999, Eko Software is an independent game developer and publisher based in Paris - France. Eko Software is developing games on all major gaming platforms (consoles - PC - Smart TVs). Mainly focused on development and content creation, the company develops games for top publishers or creates new IPs that are published in partnership with worlwide publishers or self-published through digital distribution channels. IPs created by Eko include Aqua Panic!, Wanted Corp., SPRay, and How to Survive. For more information on Eko Software and its products please visitwww.ekosystem.com. Warhammer: Chaosbane © Copyright Games Workshop Limited 2019. Chaosbane, the Chaosbane logo, GW, Games Workshop, Warhammer, The Game of Fantasy Battles, the twin-tailed comet logo, and all associated logos, illustrations, images, names, creatures, races, vehicles, locations, weapons, characters, and the distinctive likeness thereof, are either ® or TM, and/or © Games Workshop Limited, variably registered around the world, and used under licence. 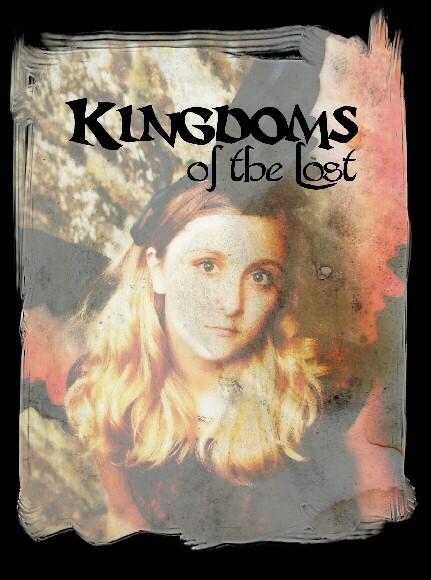 Published by Bigben Interactive and developed by Eko Software. All rights reserved to their respective owners.